Support a local business. Share an inspiring quote. Tell someone a joke to brighten his/her day. Penn State students performed these small, yet meaningful, random acts of kindness Wednesday on what would have been John William McKenzie Brady’s ninth birthday. John, more commonly known as Mack, was Schreyer Honors College Dean Christian Brady’s son, who died on New Year’s Eve from a rare blood infection. At 5:30, students and faculty were invited back to the Atherton Hall lobby to write a message for the Brady family on luminaria bags, which were lit up by fake candles and placed in the Atherton courtyard. The Schreyer Honors College Student Council hopes to make “Mack’s Day of Kindness” an annual event to help the Brady family through what will be a difficult day. Mack was a huge soccer fan, which led the Brady family to establish a scholarship in Mack’s honor. The scholarship will benefit a member of the Penn State men’s soccer team. 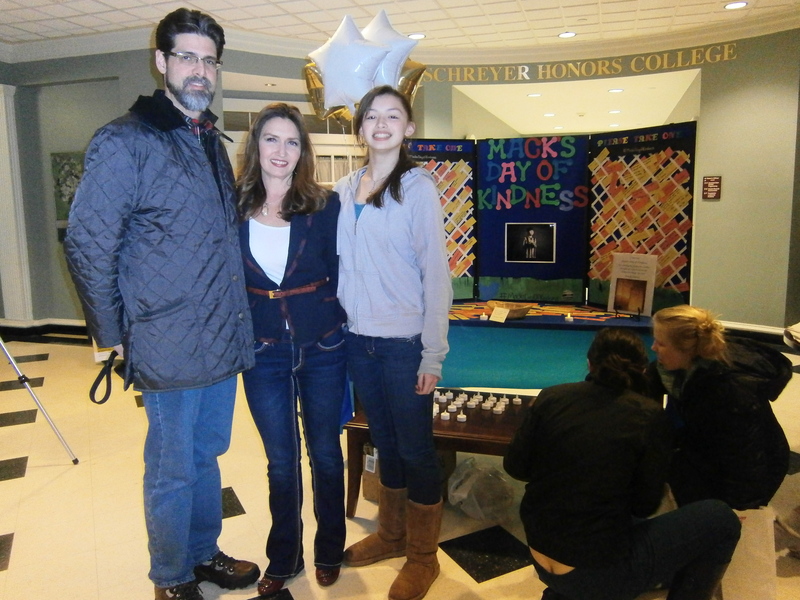 Brady, his wife, Elizabeth, and their daughter, Isabel, stopped by Atherton Hall during the event. They were grateful to all of the students in remembering their son and were touched by what the students made possible. Entry filed under: Uncategorized. 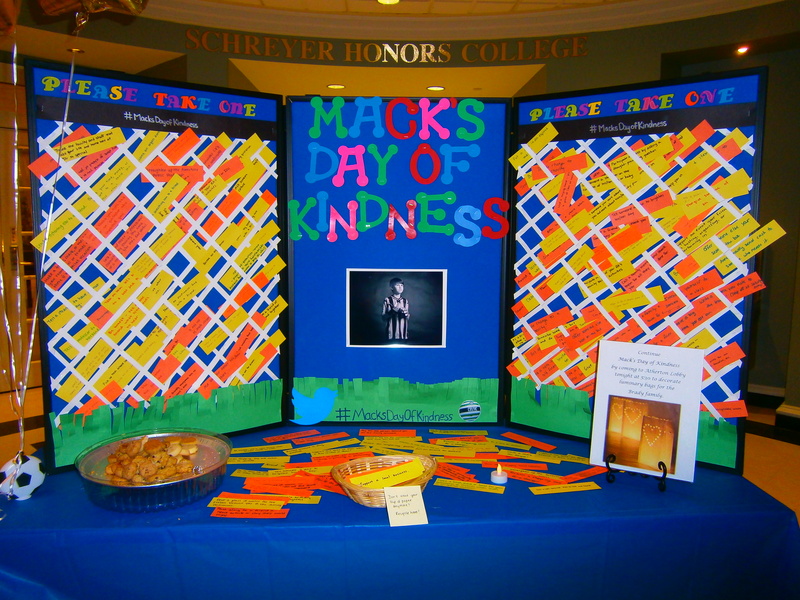 Tags: Birthday, Christian Brady, Mack's Day of Kindness, Remembrance, Schreyer Honors College, Schreyer Honors College Student Council.